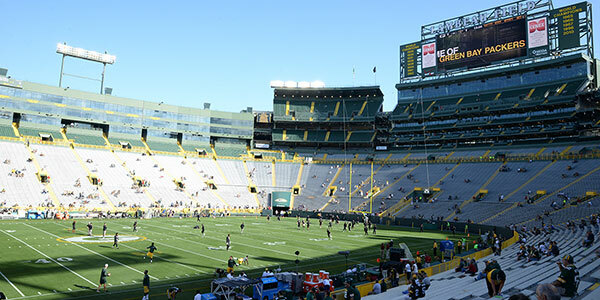 GREEN BAY — A lot of attention this preseason already has been paid to the Packers’ receiving corps, and that won’t change in the preseason finale tonight against the Saints at Lambeau Field. With Jordy Nelson on IR and Randall Cobb (shoulder) and Ty Mongtomery (hamstring) sitting out due to injuries, it’s likely Jeff Janis and Myles White will take a ton of snaps. There’s been no announcement on Davante Adams for tonight, but if Adams does play, it probably won’t be for very long. Traditionally, the Packers have played their starters little to none in the fourth preseason game. After Janis and White, other receivers expected to get their share of playing time include Jared Abbrederis, Ed Williams and Larry Pinkard. It’s unclear whether the Packers will keep five or six receivers on the final roster, but everyone on the bubble should get a chance to state his case tonight. Long time coming: Abbrederis has yet to play in a preseason game, or any game for that matter, in his brief NFL career, and he’s expected to make his debut tonight. The Wautoma, Wis., native and 2014 fifth-round draft pick from the homestate Badgers missed all of last preseason and season with a torn ACL, and then he sustained a concussion in the first training camp practice this year. He finally returned to the practice field on Tuesday this week. Can he earn a roster spot in essentially one night? He’s going to give it his best shot, and you can read what he had to say right here. Roster cutdown looming: The Packers, and all NFL teams, have to trim their rosters to the mandated 53 players by 3 p.m. CT Saturday. Green Bay’s roster currently stands at 75. Following roster cuts and the 24-hour waiver period, teams can then establish practice squads of up to 10 players. GM Ted Thompson reiterated on Wednesday that there’s often a player not necessarily in the team’s plans who suddenly jumps out in the final preseason game and makes the team. Who might be that someone tonight? The tight end position is far from sorted out, and you can read about the reserve candidates here. Countdown: The regular-season opener against the Bears in Chicago is now just 10 days away.